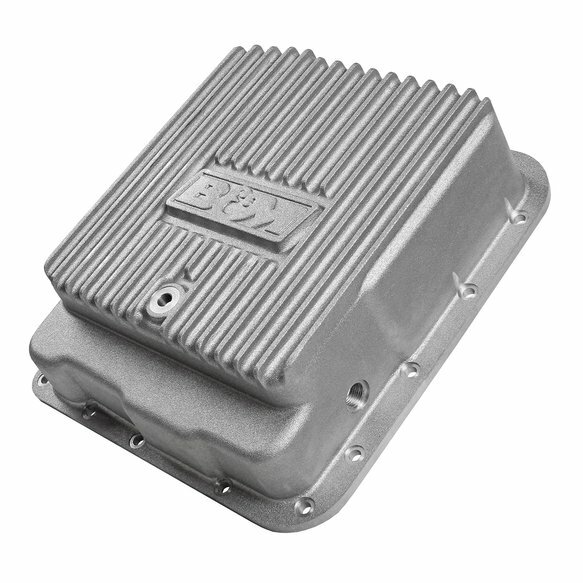 Fits various vehicles with TH700-R4, 4L60, 4L60E & 4L65E Transmissions. 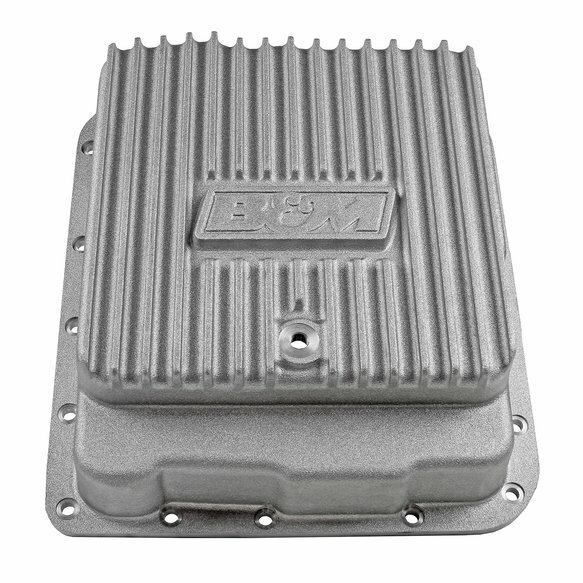 B&M Cast Aluminum Transmission Pans are constructed of thick A356.0-T6 cast aluminum. 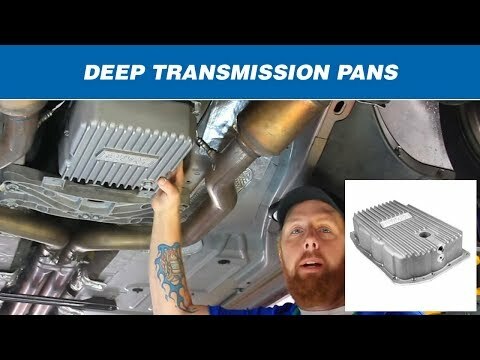 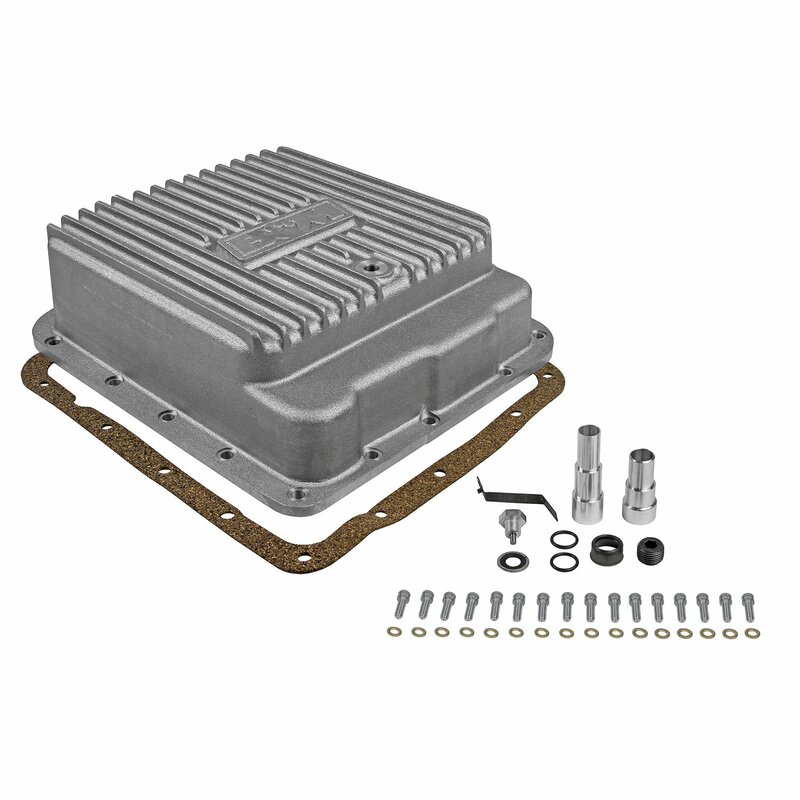 Designed to fit a wide range of cars and trucks with TH700-R4, 4L60, 4L60E & 4L65E transmissions, these deep pans significantly increase the fluid capacity and dissipate heat much faster to prolong the life of the transmission and related components. 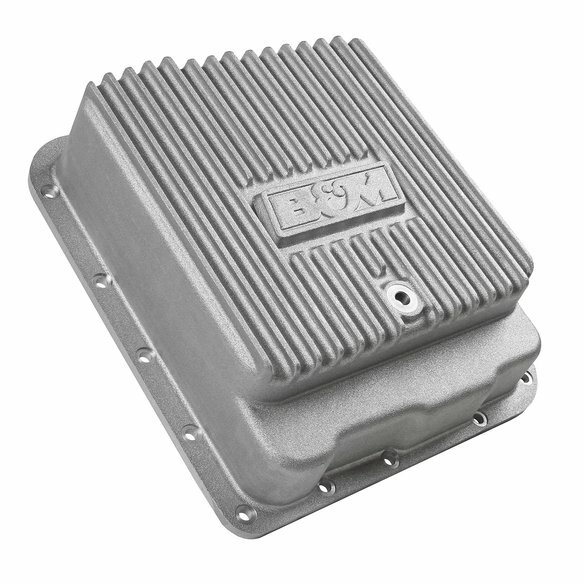 Additional features include an engraved B&M logo, drain port, a magnetic drain plug for catching ferrous metal particles, and complete hardware and installation instructions.